Sexually molesting ten innocent children: if there is one crime for which I can hardly fathom forgiveness, it is most certainly this one. Jerry Sandusky was sentenced to life in prison yesterday -- and justly so. He deserved to be punished severely, and if he is murdered in prison, he most likely deserves that as well. However, in the midst of my celebration of “justice being served,” a still small voice rose up inside of me. I knew it was the Lord. I was speechless. Yeah, sure, I know that God loves everyone, but never before had it shaken me to the core like this. Here was man whom abused ten innocent children, and probably more, and God is telling me he loves him. I just couldn’t swallow it. And that’s just it, as humans we have such a difficult time fully understanding the height and depth and width of God’s unconditional love because it is, well, so un-human. God loves Sandusky as much as He loves you, your children, and your grandchildren; and even as much as he loves those hurting, aching, and wounded little boys that Sandusky abused. “Grace is not fair,” the Holy Spirit interjected unwaveringly. 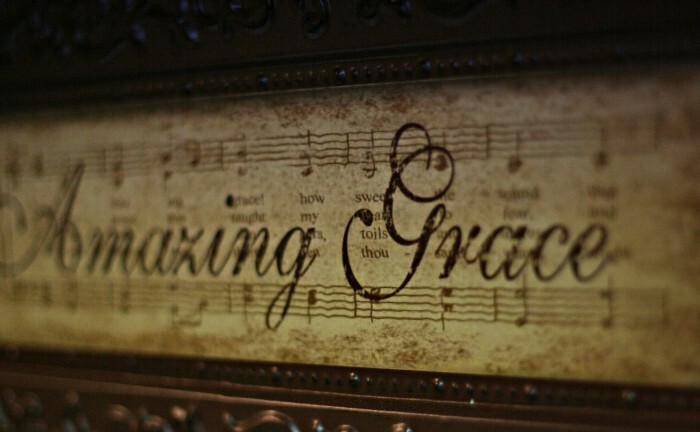 I guess that’s the mystery of grace; you just can’t get God to quit loving you. It’s crazy love, way beyond my comfort zone – yet, for it, I’m forever grateful. If grace can be extended to man like Sandusky, then there is hope for us all, and that is good news. And as for the victims, I mourn for them, but I don’t put anything past my God. I know that out of this horrendous tragedy, He will bring about healing, peace, transformation, and a beautiful display of forgiveness and the ability to overcome all things through Christ.